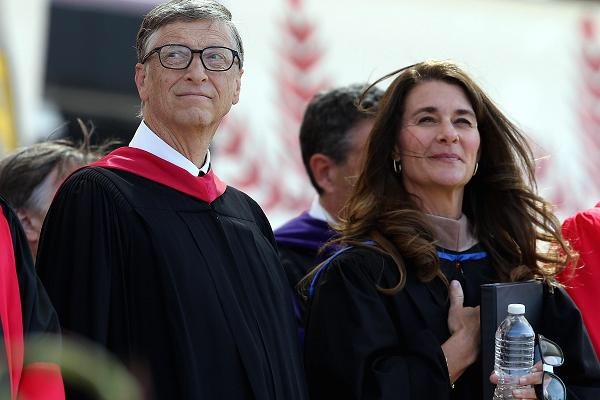 Melinda Gates just gave some advice in a commencement speech to recent college graduates, radiating with joy on that special day. “This is a time in your life when a whole host of opportunities will suddenly open up, and if you stay in your comfort zone, you’ll miss out on so many things worth experiencing.” In other words, get used to being uncomfortable. Seems like pretty good advice to follow at any age. This message really hit home for me, reading it shortly after I wrote in my blog yesterday. Since we retired, I had slipped into an easy routine of sleeping until 9 or 10, sitting around watching TV, playing video games and reading. Oh yeah, and eating too much food with no exercise, thus the weight slowly started creeping back up after fighting so hard to lose it two years ago. Every day I would promise myself to do something different, my son encouraging me to take a class at the community college or just go to the library. Why do that when you can just buy a book on Kindle? It was just so comfortable, sitting around all day doing nothing. What happened to the hard working business woman who loved solving problems for her clients, never fearful of tackling a challenging new business opportunity, and unafraid of taking risks? I had lost confidence in myself and my abilities and thought no one needed my services any longer and with that, I started drifting along, too comfortable to leave my cocoon at home. I had the grandkids to play with, the dogs to take care of and a loving hubby to hang with, what more did I need? I needed to get uncomfortable, I needed to put on the swim suit and jump back in the pool, swimming laps one after another, unafraid of what I look like in my suit. The funny thing is that the more uncomfortable you get, the more fun you have in your life! So this is my season for change and challenges and growth, and gaining back my confidence so that I can take on exciting opportunities. Follow Melinda Gates advice and get uncomfortable with your life. It just might save it!